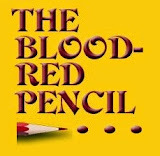 Blood-Red Pencil: Who Says Writing Isn't Scary? Who Says Writing Isn't Scary? We know there are professions that come with a level of fear attached. Firefighters, cops, military personnel—these folks are doing jobs that put their lives on the line all the time. Overcoming and channeling their fears is part of their training. But a writer? What are we afraid of? Paper cuts? Power failures? Losing files? Hardly life-threatening. However, there are still things that frighten writers. Fear? Maybe not. But darn powerful insecurities. Our job is a constant battle with these insecurities. 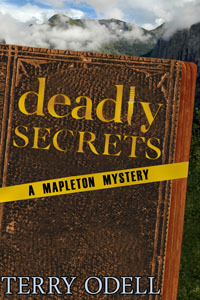 For example, I just sent my newest manuscript, Deadly Bones (a sequel to Deadly Secrets) to my editor. Although I sent her the cleanest copy possible, it's not her finding typos that scares me. It's sitting on pins and needles until I get the manuscript back. Or worse, the fear that I'll get an email from her saying, "What were you thinking with this book? I'm not going to waste my time editing it." Or, you get edits back, and they're not really edits—they're revisions, so you have to make a multitude of changes, and then you're afraid the book won't be the same. With each book we write, we're afraid it won't measure up. That whatever meager talent we possess will dry up, and even if we have more stories to tell, they won't be as good as the last one. And "as good" isn't good enough. They have to be better. So we worry whether or not we've already written our best book, and if we're on a downhill slide. When I started writing, people told me not to worry too much about the book's title, or to get attached to the one I picked, because publishers usually changed them. Not so with mine, and, for me, finding the right title is scary. With only one exception, my titles are the last things I write. 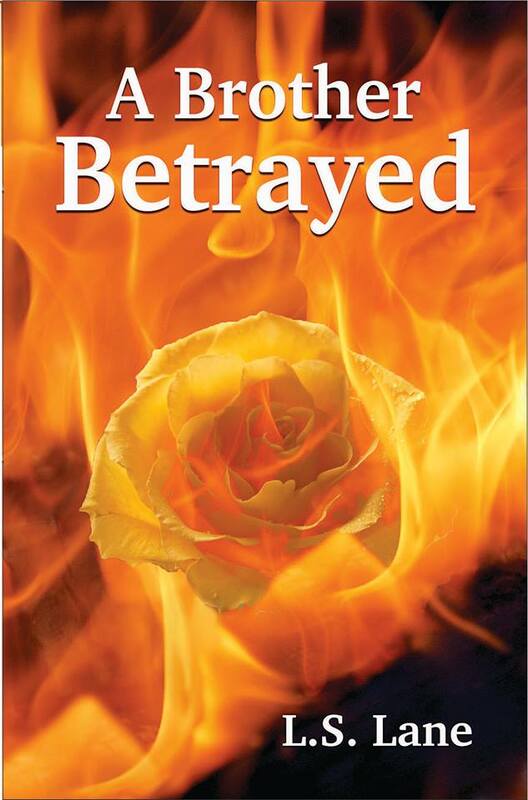 Imagine how I felt when I re-released a book and had to come up with a second title for it! Then, what if you find that "perfect" title and take the next step—checking Google or Amazon to see if there are any other books with that title—and you find three pages of them. If you're an Indie author, there's no publisher to take the blame if your title doesn't resonate. If we're writers, we want to write. We don't always want the responsibilities of all the "extra" stuff, and having to learn that side of the business is scary. Once we have the final product, we let it loose into the world and fear nobody will buy it. With traditional publishers, you'll get a royalty statement maybe twice a year. In the meanwhile, you have no clue if your book is selling, and it's kind of an out of sight, out of mind thing. If you're indie published, you can check your sales figures all day (and all night) long. 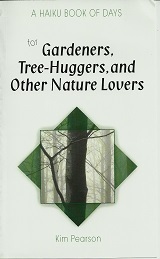 Why didn't I sell any copies of this book today? Yesterday I sold ten. Why did my rankings drop? Do I need to pay for ads? Send out review copies. But what if reviewers don't like my book? I might not worry about someone pulling a gun at a traffic stop, but I have plenty of fear. 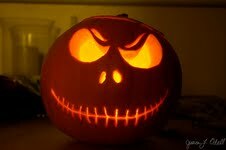 Does the pumpkin scare you? What about you? Do you worry about your writing? What scares you? And if you're a reader (and authors are readers, too), you can help dispel some of those fears by simply telling authors you liked their books. A quick email is all it takes to brighten an author's day. And posting it publically, via Facebook, Twitter, or a review at Amazon, B&N, or Goodreads can really send fears flying. 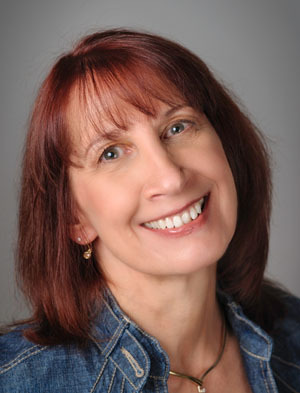 Terry Odell is the author of the popular Pine Hills Police Series and the Blackthorne, Inc. Series. 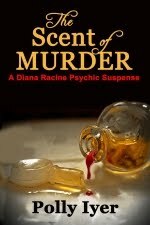 You can find out more about them, as well as her stand-alone romantic suspense novels HERE. 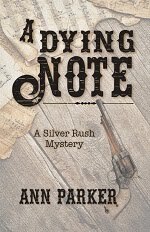 Her newest release, Nowhere to Hide, can be found here. You can find her at her Web site. If you've followed her blog (or want to start! ), note that it's moved and is now HERE. You can follow her on Twitter, or visit her Facebook page. That's a very dapper looking zombie. I'm afraid of never having time to finish the several stories I've already started. Okay, it's a matter of MAKING time, at least an hour a day to work on my stuff. THEN the editing can begin. Why does it never turn out this way? Oh yeah, old dog, new tricks, hmmmm. Good post, Terry. You've captured the fear of the unknown that holds all of us prisoners. Titles are the hardest thing to write. If I can write a 50,000 word manuscript without breaking a sweat why can't I compose a title?? Writing is worse than scary, but still we can't stop. As Red Smith said, "There's nothing to writing. All you do is sit down at a typewriter and open a vein." I'll try to remember to give more of that all-important postive feedback. Well, writing a book doesn't really scare me, Terry ... selling the darn thing, however, terrifies me. 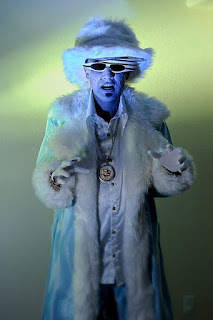 BTW, how'd you get Elton John to pose for you? Has he been working out? Mooderino - the photo came captioned as: Big Pimpin' Zombie. Linda - we all have these underlying insecurities. Knowing we're not alone helps. Yvonne - and then you have to write the marketing blurb. None of my publishers ever did, so I'm "used" to having to do it--but it's terrifying, because a bad blurb means bad sales. Fear of fiction - that's me. I can write about anything, but making up stories that other people might find entertaining... or not... very scary for me! I'm at that turning point in my life though, and whether I take the next step is totally dependent on overcoming the fear of failure. Yikes! Good post, Terry. I think most of us can relate to having fears of one sort or another when it comes to our writing. It's all part of that package deal that comes with creativity. Dani - The one thing that doesn't scare me TOO much is worrying if I can write a story that people will find entertaining. Don't know why, because of course we want everyone to love our "babies." But I write what I want to read, so I figure I can't the the only one out there who enjoys that kind of a story. And I figure there are others like me who don't want to read about vampires all the time. Maryann--so true. Our fragile egos are always there. Chris - I don't think it ever stops being scary. Nora Roberts said she's afraid every single time. Sometimes, for a novel to resonate in modern culture the writing requires courage, truth and integrity. A commitment to freedom and justice. Sir Salman Rushdie's 1988 novel 'The Satanic Verses'(which I have not read) was banned in many countries. He continues to receive threats on his life due to misinterpretation of the book's content by fanatics. Many writers, bloggers and journalists (throughout the world) have been murdered because they wrote about crime, corruption and the right to freedom of expression. I admire the bravery and determination of Malala Yousafzai, the 14 year-old schoolgirl, who was shot in the head by a Taliban gunman for her campaign for girls' education in Pakistan. I hope she makes a full recovery. Writing with conviction and truth is not without danger. Sometimes police and employees of local administrations are implicated in the attacks on writers, bloggers, and journalists. Trust, love and life make us vulnerable. However, people must be convicted for the crimes they commit on writers, irrespective of the perpetrator's position in society. Ronnie, thanks for the thoughtful reminder of what some writers face. Makes our little fears of whether the reader is going to like our latest story pale in comparison. I do admire people who have the courage to take a stand against tyranny, oppression, and violence via their writing. Ronnie--excellent reminders to those of us who write "commercial" fiction, that there's a whole 'nother world out there. I heard Salman Rushdie speak, and he's a very impressive man. Oh yes, I always fear not being able to "do it again" or that this time nobody will like it. I don't think that ever goes away. Maybe because writing is so personal. it's a little bit of each of us in our words and we're always hardest on ourselves, right? We constantly worry what people think about us as individuals, and our writing reflects who we are as individuals, so I'm definitely in that group who fear many, many things when writing! Great post! Nathalie - that's so true. When we write, it's like standing naked on Main Street, and that can be scary. Heidi - I agree. We're all afraid of failure, and it's as if one success makes us fear it was a fluke and can never happen again.